The following websites may be of interest as they all have relevance to Harry Price & his work. The Society for Psychical Research This was the first society of its kind & was founded in 1882 by a group of Cambridge scholars. Harry Price joined the S.P.R. in 1920 & remained a member until his death. American Society for Psychical Research The A.S.P.R. is the oldest society of its kind in America & was founded three years after the S.P.R. in 1885. In June 1925 Price was appointed Foreign Research Officer of the A.S.P.R. & contributed many articles to its Journal over the next few years. The Ghost Club This is the oldest society in the UK dedicated to the paranormal, being established in 1851. It has had various revivals over the years, one being in 1938 by Harry Price who became its Chairman. Price had originally joined the Club in 1927. A later revival was by Peter Underwood from 1962 who served as President until 1993 when he left to become the Life President of The Ghost Club Society (see below). Membership was limited to one hundred persons and was by invitation only, but this has now changed and now is open to all. The Psychic Times This is a new online newspaper which provides up-to-the-minute news, interviews and information on life after death research and paranormal phenomena. The newspaper also contains links to research organisations and psychics. The International Survivalist Society The International Survivalist Society (I.S.S.) was founded by Thomas Jones of Wales and David Duffield of West Virginia on 11th April 2002 with the aim of publishing articles, books and photographs relating to survival after death & psychical research. It is an independent, non-profit organisation which regularly co-operates with many distinguished psychical researchers and parapsychologists across the globe. 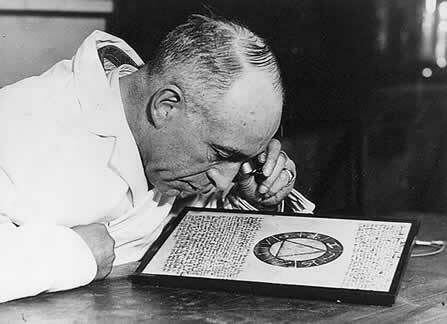 Their excellent website contains much information about the history of spiritualism & psychical research at the time that Harry Price was active in the 1920s & 1930s. There is also a short profile of Price together with several of his articles which are taken from Fifty Years of Psychical Research. The Foxearth & District Local History Society Website established by Andrew Clark for this local history society which focuses on the four North-Essex parishes of Borley, Liston, Pentlow & Foxearth. The site contains much information about the area which was the centre for the Borley Rectory hauntings. University of London Research Library - Harry Price Library of Magical Literature The Harry Price Library of Magical Literature is one of the Named Special Collections in the Research Library of the University of London. This webpage has details of the background of the Price Library, a short biography of Price as well as notes on some of the particularly rare books that are to be found in the collection. Archives in London & the M25 Area This is the homepage of the AIM25 which is a project funded by the Research Support Libraries Programme (RSLP) to provide a web-accessible database of descriptions of the archives and manuscript collections of the principal colleges and schools of the University of London and of other universities and colleges in London and the surrounding area bounded by the M25 London orbital motorway. A search for Harry Price will get you to a detailed description of the contents of the Harry Price Collection at the University of London prepared by Gillian Murphy & Stefan Dickers. There is a concise biography of Price together with an abstract of the contents of Price's files which were donated to the University by Price himself. Mysterious People This website authored by Brian Haughton is devoted to the lives of mysterious, strange and unusual people. It consists of a series of biographical articles, with sources and suggestions for further reading for each entry. There are also features on authors, publishers and research groups who deal in the supernatural and strange phenomena. Included is a comprehensive essay on Harry Price's investigation of Stella Cranshaw and there are links to further articles on Price by John Randall. ArthurLloyd.co.uk This is an excellent music hall website dedicated to the actor, singer & music hall performer Arthur Lloyd (1839-1904). It contains much information about the music hall era & details of venues like the Alhambra in Leicester Square where Harry Price saw many of the vaudeville mediums of the time. St. Mary's Church, Pulborough Website of the church in West Sussex that Price was a sidesman at for many years and where he is buried. 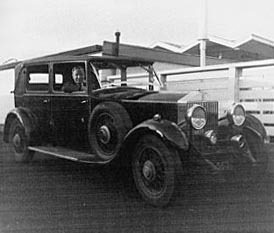 The Harry Price Rolls Royce Peter J. Henderson's website showcasing the 1931 20/25 Mulliner Weyman Rolls Royce saloon formerly owned by Price himself. Peter has painstakingly restored Price's former car over several years and for the past 20 years has used it as a wedding car. Guy N. Smith.com I have been a firm fan of the master British horror writer Guy N. Smith for many years, ever since coming across his classic bestseller Night of the Crabs way back in 1977. This is Guy's official website which has lots of information about the man & his work as well as details of his own second hand book store Black Hill Books. Dennis Wheatley.info The late Bob Rothwell's superb website dedicated to the life & works of the 'Prince of thriller writers' Dennis Wheatley, another major influence for me. Bob's comprehensive site was an incentive for me to set up this website about Harry Price. It is now run by another Wheatley devotee, Charles Beck. The Headless Horseman A new UK based website providing potted online information on famous ghosts and hauntings, as well as haunted houses, battlefields and castles. Good web design from a site which promises more content for the future. Scottish Ghosts Ghost Club member Derek Green's own website about ghosts and paranormal sites North of the border including information on the investigations which Derek is actively engaged upon. Spectre Investigative paranormal group headed by Mike Mackenzie. Nice website with detailed information on their past investigations together with concise information on ghost-hunting equipment together with a database of paranormal happenings & locations. Cheshire Paranormal Society Covering Cheshire & North Wales, this investigative group is headed by founder & Chief Investigator John Millington. Comprehensive coverage of scientific ghost-hunting equipment and a run-down on past investigations is contained on this well laid out website. Ghost Finders Scotland Based in Glasgow this experienced team of investigators aims to record evidence of the paranormal using various scientific methods. As well as information on the groups investigations, this excellently laid out website has discussions of various phenomena including EVP and orbs. Ghost Hunters of Southern Michigan Based in southeast Michigan, this investigative group formed by Robin Lemkie carry are ghost hunting all year round. Their site has some good reports of past investigations. Ghost Island Author Gay Baldwin's comprehensive website covering the paranormal scene on the Isle of Wight - the world's most haunted island. The site features detailed information on all reportedly haunted places including manor houses, pubs and churches. Gay's series of books on the ghosts of the Isle of Wight can also be ordered here. Ghost Research Society Investigative society based in Chicago formed by author Dale Kaczmarek. Dale has been actively investigating paranormal phenomena since 1975 and the Ghost Research Society and membership is open to all. This Haunted Land Excellent series of investigation reports from sites in Cornwall, Scotland and the South-East on this well designed website. Ghosts of Gettysburg Website focusing on the ghostly aftermath of the famous Civil War battle of July 1863 featuring tours of the haunted sites based on the books of historian Mark Nesbitt. Ghost Hunters Scotland Inspired by the Most Haunted television programme the website of this investigative group features film clips and EVP recordings from previous investigations. Borley Rectory.co.uk Website offering concise information on the Borley Rectory case including a guide to the history of the haunting, a chronology of events, a bibliography of the important Borley books and details of Price's work on the case. It is also the only website where you can by key rings & fridge magnets of the Rectory and Price himself! Abbey Ghost Hunters Formed by husband & wife team Angie & Mark in October 2003 this Scarborough-based group combine traditional & modern techniques as part of their investigations. Their comprehensive & well presented website contains details of their activities & meetings. True Ghost Stories Excellently laid out website presenting posting of true paranormal experiences, a forum and a wide range of books and DVDs on haunted houses, spiritual mediums and other supernatural topics. Janice Oberding's Haunted Nevada Extensive website devoted to the paranormal phenomena of Nevada, USA including articles, investigation reports, photographs and a directory of haunted locations. Janice is an authority on Nevada's hauntings and Director of the Nevada Ghosts and Hauntings Research Society. The Raymond Cass Foundation Raymond Cass (1921-1977) was the UK's leading pioneer in EVP recording and this Foundation set up in his memory is dedicated to promoting information about his work. Currently Cass's complete tape archive of recorded voice phenomena is being digitised for public consumption. Memphis - Mid South Ghost Hunters Established in 2001 and based in Memphis, Tennessee, this group of experienced paranormal researchers has a superb website with full details of their investigations and reports. Paranormal Book Store Excellent internet resource for anyone interested in obtaining information on all aspects of the paranormal. The site is extensively stocked with books on ghost hunting, mediumship, ESP, UFO's and parapsychology. Updated regularly it contains new titles as and when they are published and featured articles on contemporary psychics and mediums. Dead Haunted Nights Former Most Haunted investigator Phil Wyman's website devoted to paranormal investigations which are personally organised by Phil and his team in key haunted locations throughout the country. The site contains information on future investigations, information on how to take part and reports on completed investigations. Hampshire Ghost Club Comprehensive paranormal site founded by David Scanlan. The HGC site contains extensive investigation reports, a forum and a comprehensive news section. Birmingham Ghosts & Hauntings UK Dedicated paranormal research group carrying out investigations in Birmingham and the West Midlands. Comprehensive website with details of several vigils undertaken by the team as well as haunted locations including the Oak House, West Bromwich and Dudley Castle. Dark Stories Excellent website created by David Kriegher from Ontario and dedicated to the many strange and interesting true stories that have left a deep impression on humanity. Ghost Quest Long-running investigative group established by Peter Crawley. The Ghost Quest website includes information on past investigations in and around the Lancashire area.